These Kimchi Pancakes are addictive! 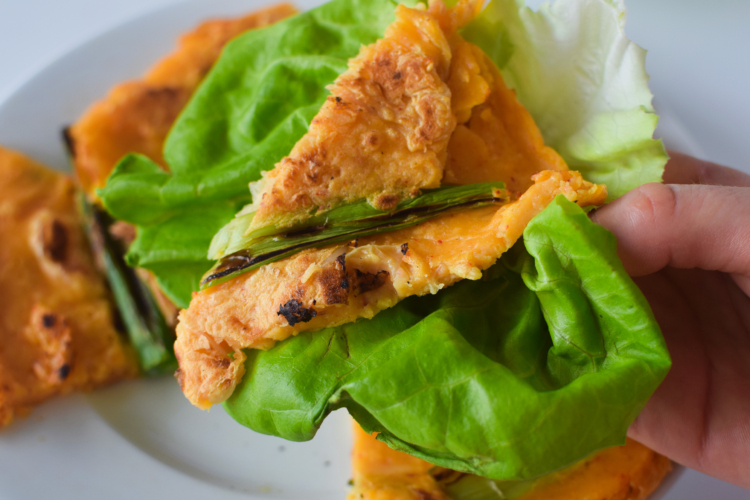 Crispy, crunchy, spicy and chewy pancake slices wrapped up in fresh lettuce leaves. Visit TillyEats for the full recipe, or see more recipes from TillyEats on Kitchen Thyme.